One of the many things I am very proud to say we do well at Friendship is attend to our patients’ pain. 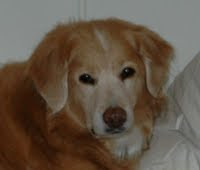 When I had Westin spayed in 1996 I was given the option to provide her with pain medication at an addition cost to the procedure. I was then and fourteen years later still am appalled that someone would not consider pain medication to be essential with intra-abdominal surgery. It seems like that was a long time ago but just last month I encountered a dog that had surgery at another clinic and was not sent home with any pain medication. It was long thought in veterinary medicine that we did not need to address pain in our patients’ because “animals feel less pain than humans”, “pain is beneficial because it limits activity” and “analgesia hides clinical deterioration”. These rationales are now known to be false and in fact pain can take a tremendous toll on our patients. Without providing proper pain management we put our patients at risk for delayed wound healing, increased risk of sepsis, prolonged convalescence, increased metabolic demand and cardiovascular stress. Studies in humans suggest that improperly controlled acute pain may precipitate a chronic pain syndrome that can be very difficult to control. Above all else, we have an ethical obligation to provide humane care to our patients. Friendship provides our patients with multi-modal pain management before, during and after a painful event be it surgery, trauma or illness. We are also aggressive with controlling chronic pain such as that seen with arthritis. This consists of opioid drugs, non-steroidal anti-inflammatories, local anesthetic, constant rate infusions and the therapeutic K-laser. Animals are very good at hiding pain and it is up to both veterinarians and owners to make sure that they are kept as comfortable as possible.